Overnight babysitting requires a great degree of patience and flexibility. Parents who have managed to find friends and relatives who are willing to babysit overnight should be sure to thank these people with a well written thank you letter. A thank you letter for overnight babysitting must include a blatant message of thanks. It should also include details that allow the recipient to know that the family has discussed the overnight babysitting and that the letter has been personalised for this exact event. For example, parents might mention how much their children enjoyed a movie marathon, baking cookies or a trip to the park. Parents might also mention the reason that they needed the overnight babysitter, such as to attend a work event, to be present at a family celebration or due to an unexpected emergency. The more details included in the letter the more personalised it will feel. Parents should also include an offer to return the favour for the recipient if this offer is appropriate and heartfelt. 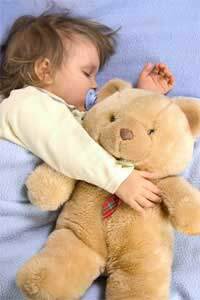 Parents should avoid offering to provide overnight babysitting services if they do not truly wish to provide them. Thank you letters to family and friends can usually be informal, unless the relationship with the recipient is more formal. More formal letters will need to be formatted with the writer and the recipient's addresses, the date and formal salutations and closings. These letters should also be typed and posted for an expected delivery of no more than a week after the overnight babysitting took place. Informal letters can be written as emails or notes, on commercial thank you cards or in e-cards. If these notes are on paper then they should be handwritten. All of these notes should include some indication of date as well as appropriate salutations and closings. Electronic communications should be sent within a day or two of the overnight babysitting. If notes are being delivered with a small thank you gift then they do not need to be posted separately. Thank you again for babysitting the kids on New Year's Eve. George and I were delighted to be able to attend the Local Wine Enthusiasts' gala celebration, especially after all of the work that we put in this year to make sure that it was a success. Your generosity with your time made it possible for us to enjoy our own hard work and for George to meet many of the members on whom he will count next year when he runs for President of the Society. It was also wonderful to be able to retire to the local inn rather than to have to drive home after all of that wine tasting. But we were not the only ones who had a good time. The kids can't stop talking about the fun they had with Uncle William. It seems that the "spaghetti bomb" (which I don't even want to know about) went down a treat with this group. They are already wondering when you will be back for another Outdoor Olympics in the garden as well! Thank you again for your help, and if you ever need us just let us know!